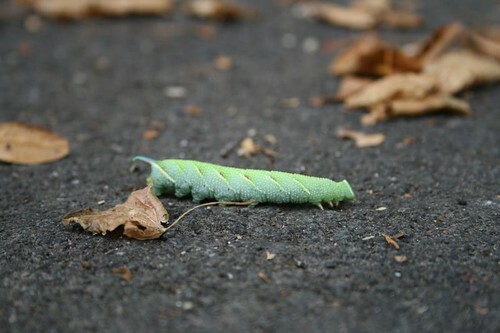 Some images from Sunday’s Safari Britain walk – first the caterpillar of a Lime Hawk-moth, in the same place to one seen a few weeks ago (previously thought to have been Privet Hawk-moth). Bird-wise, the walk was much quieter than the previous week; the highlight was probably a Common Buzzard that some of the group saw sitting in the tall dead tree below Tilton Bostal. 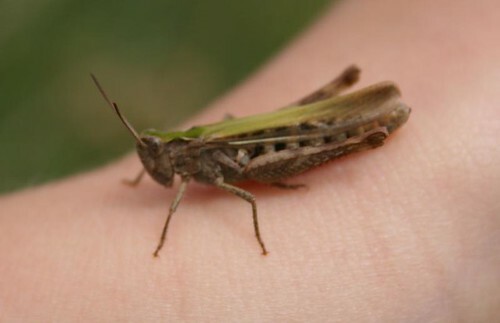 However, lots of insects about, including this grasshopper (species?). And as last week, lots of butterflies – particularly Walls, Painted Ladies and Common Blues. 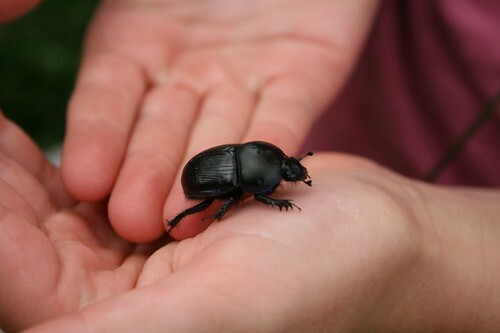 Some large beetles too, including this beast. This entry was posted in Local sightings, photo and tagged beetle, common buzzard, firle, firle village, grasshopper, lime hawk-moth, safari britain, tilton, wall by Charlie Peverett. Bookmark the permalink.